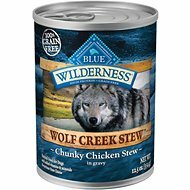 Your canine companion is a unique individual with his own personality, and he deserves to eat a one-of-a-kind meal like Against the Grain Hand Pulled Chicken with Gravy Dinner Grain-Free Canned Dog Food. Featuring hand-pulled, hand-packed chicken as the very first ingredient, along with real sweet potatoes, carrots, apples and peas in a savory gravy, this special food is totally different! 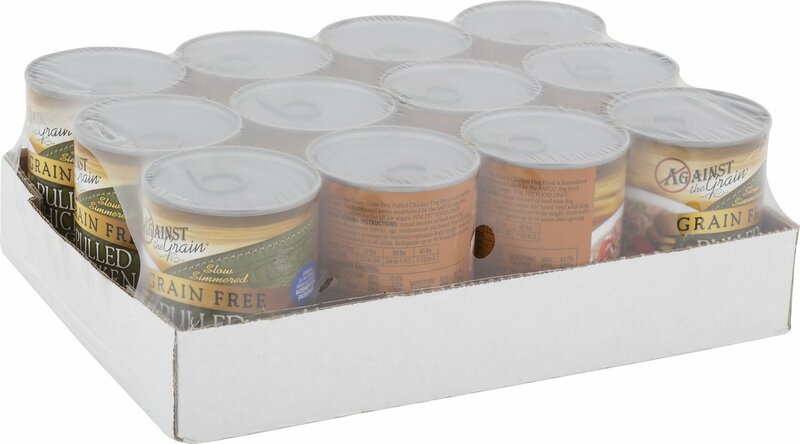 It’s fortified with vitamins, minerals and nutrients to provide complete and balanced nutrition, and it’s also grain-free and gluten-free, so it’s easy on his digestion and ideal for the pooch with allergies or food sensitivities. Grain-free and gluten-free recipe is easy to digest and ideal for the pup with allergies or food sensitivities. Hand-pulled, hand-packed chicken is the very first ingredient; endorsed by the Chicago Rabbinical Council Kosher for Passover. Also contains real sweet potatoes, carrots, apples and peas in a savory gravy your pooch will love. Actual amount of food your dog requires depends on activity, age, environment, and breed. Feed Adult dogs only the amount necessary to maintain optimum body weight. Fresh water should be available at all times. Refrigerate up to 36 hours after opening. My labradoodle loves the Against the Grain Pulled Chicken. I use it as garnish on top of her prescription kibble. Real chunks of chicken with peas, carrots and gravy. I love the "stew" consistency of this food. I feed 4 dogs and just add canned food as a treat. I love the gravy because it allows me to coat the kibble. I also like that you can tell what the ingredients are. So far so good with the sensitive digestive tracts too. 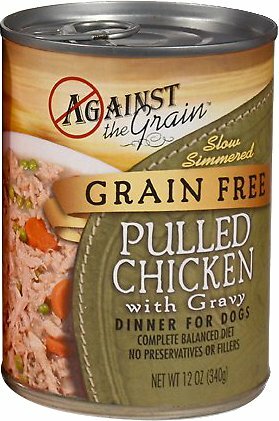 I am feeding against the grain products to both my dogs and cats; I have very picky eaters, but all six of my animals run to the food bowl and dive in. This is a great product . One of our dogs won't touch it. Although three of our dogs seem to like it, our fussy one will not touch it, even leaving the room. Some of the cans have been about 25% juice, so it's not especially economical. My 5 year old female GSD who can get very picky, loves this added to her dry food. I recommend it. I have been buying the pulled chicken for almost a year and absolutely loved the chunks of chicken and yummy vegetables that were jammed into each can. There was just a little bit of broth and it always smelled really good. I just received a case and was surprised at the amount of liquid in the can. The chicken looked different too. NOTHING about this food looks the same. What happened? I contacted Chewy and they are giving me a refund for the case. Thank you Chewy for being so nice about this! Such a shame!! I like the high standards of this product. 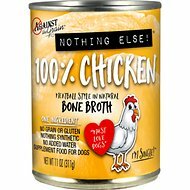 This is a high quality food that my very picky senior citizen Chihuahua will eat without hesitation every time!